Or the Crimes Of Warner..? So, here comes the third week of November with a long-anticipated premiere for a lot of people. 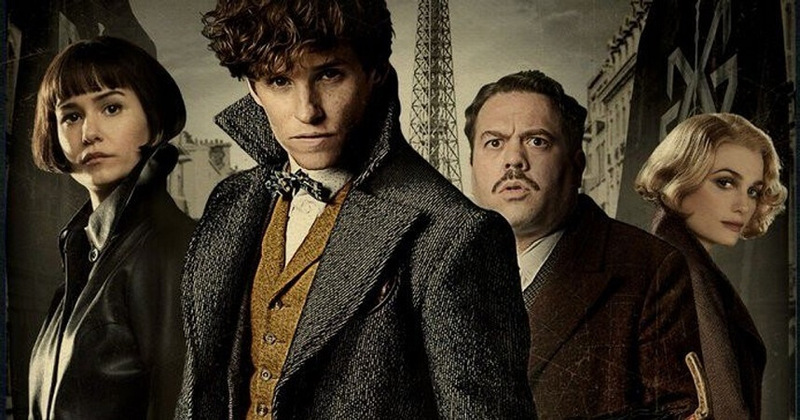 “Fantastic Beasts: The Crimes of Grindelwald” officially (written again by J.K. Rowling) extends the ‘Harry Potter universe’ as part of a series of cinematic prequels. Although I am not a die-hard fan of Harry Potter, the ‘Wizarding World’ created by Rowling by no means leaves me indifferent. Nor did the first remarkable movie of the ‘Fantastic Beasts’ series. But even among the friends of the book series, there is a divide as to whether the transfer of the books from one film to the next is worth it. First of all, I would better make clear that the film in technical terms of “atmosphere” is quite splendid, though as an already tested procedure. 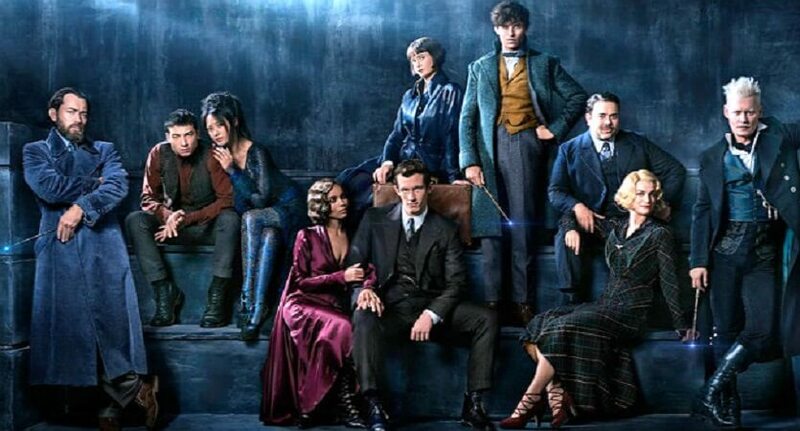 Once again, both James Newton Howard in the musical score and David Yates as director, along with the help of the wardrobe and photography departments, bring a wondrous period drama to life. Making a more specific comparison, I must say that since the first Fantastic Beasts movie we’ve had a fairly clear picture of the ambiance of the roaring twenties, being set in New York, even so with an extra dose of fantasy. Personally, I was sold. The second film, taking place in Paris of the same era, isn’t permeated by an equally inspiring city atmosphere, but rather a gloomy urban, depressing landscape, with just a few neoclassical buildings breaking the monotony. Having said that, the casting choice is very good, with actors doing their best as professionals, in order to achieve a tight vision of memorable characters, either of small or big significance, especially with the limited time they are given. Unfortunately, all of the above isn’t enough to make the film truly enjoyable. A plethora of new characters and facts is introduced, with an unequal distribution in the length of appearance time and in conjunction with their weightiness. For example, here we are, with none other than Johnny Depp, whose character and actions do not justify the title of the film. The actor himself does not even seem to try, something perfectly reasonable considering the restrictive scenario and the flat dialogues. 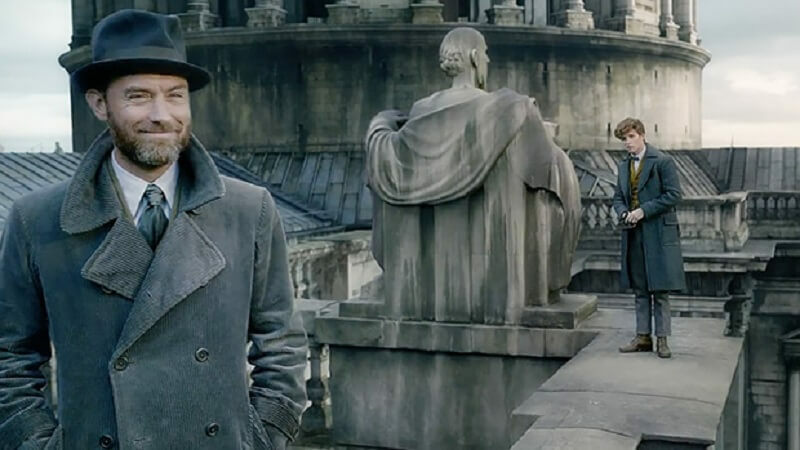 Jude Law, on the other hand, does a superb interpretation as Albus Dumbledore or at least for as long as he is given the time to do so. Even the various magical creatures have a more limited screen-time than the previous movie. The story truly leaves you with a feeling of unsatisfaction as if there was a lot more that could be said and shown but didn’t or at least not in a satisfactory order. At the same time, there seems to be a painstaking effort to balance the narrative flow, along with the already established characters of the previous film, whose stories seem to pop-up uncomfortably in various parts of the film, without making a special impact. The two main romances and many other character relationships do not resolve, perhaps in the hope of a comeback in subsequent films. There are times when the script seems to have been “hacked” in editing, with other scenes being over-extended. This makes me wonder if all this just happened to carry the production schedule out? However, here we should be interested in the film itself. Whether its characters and stories are ‘viable’ by themselves. And we should be surely concerned if Warner’s pentalogy comes out at the expense of our time and money, not to mention those who are genuinely interested in the franchise. Seeing so many disappointed faces on the way to the exit from the theatre struck me as bizarre; not a single group of people seemed willing to comment on the film enthusiastically as usual. Unfortunately, this asserts a fact about blockbuster-series: the mishmash-politics of studios and producers, most of the time moving the reluctant main creators to the background of a production. I can only hope, that was what happened to Rowling’s case as she has offered us a lot more over the past years.